safely and effectively remove them from your home. Norway rats build burrows outside, and as it gets colder find ways into crawl spaces and attics, making nests in insulation and often entering through dryer vents. Unless you hear them moving about and or you begin to notice a bad smell from the urine rodent activity they can go undetected for a long time. Rodents survive off a daily amount of protein and water. BBQ grills, water sources, fruit trees, can attract and help keep the rodents alive. Thick shrubs provide great hiding spots for the nocturnal species. They come out at night and like to move around in secret. Roof rats are indigenous to cities near waterfronts. They often infest attics. They are lean and can travel along wires, pipes, trees and to reach the roof. They have strong teeth that can gnaw through almost all types of materials and have the potential to cause electrical problems from chewed wires. Rodent mites live on the rodents and feed on their blood, but if a host dies they can invade homes and bite humans causing mysterious bites. They are so small they are almost naked to the human eye, so people do not know what is biting them. Chew marks on books, furniture, electrical wires, clothing, and food containers. Look for mice nests in drawers, shoeboxes, under cabinets, under the kitchen sink, small holes around the baseboards or floors inside the home, dryer vents, crawl spaces, or roof rafters. There may be a distinct smell in areas with poor ventilation. Homeowners may also notice an infestation when they hear them scurrying around at night. 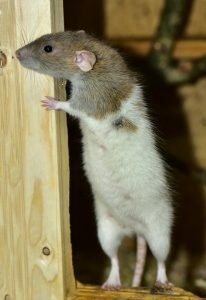 The greatest concern with mice is the potential for spreading diseases such as rat-bite fever, typhus, salmonella, typhoid, and tapeworms, as well as property damage if they have chewed through important wires or piping. 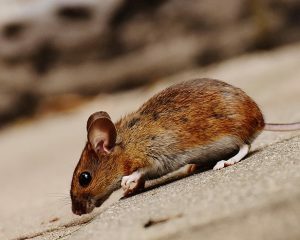 A common species of mouse found in the Northwestern and Seattle region is deer mice. The can carry the Hantavirus, which stays present on their urine, saliva, or droppings. Your family and your pets can be in danger of these diseases simply by breathing in dust from their nest when cleaning it up. Even though they may be more noticeable in the fall season, mice are still a danger throughout the year, and in some areas year round prevention service is needed to keep them away from your home. At the beginning of fall, rodents and mice will search for food to eat to keep them safe through the cold winter months when it is more difficult to find food. If they find a safe and secure space to hide throughout the winter, they are in a prime location for breeding and delivering babies in the spring. Without the proper rodent control removal, your home may be infested without you being aware. Northwest K9 Bed Bug Detectives Rodent Control Will provide a complete home inspection and determine how the rodents are accessing the home and where their runways are for traveling in and out of the home. Determining how and where the pests are entering the home, attic or crawl spaces so exclusion work of sealing the holes and openings is important to keep the rodents out after we remove them. There are several effective methods for trapping and eliminating rodents. We use methods that are safe for your family and the most effective. Rodents and mice are intelligent and great at surviving, so we have developed a special process to help outsmart them. To keep the rodents out after removing them we try to locate the entry areas and provide minor exclusion work sealing holes and openings with rodent proof materials. Ensuring that rodents and mice don’t re-enter your home is an ongoing process if present in the yard they will continue to try to find ways to enter the home. Either by gnawing, digging or finding openings to get inside. Keeping garbage cans sealed and food inside the home tightly sealed, removing piles of wood and compost piles are tools you can do to help keep your property rodent free. The health and safety of your household is an important priority for Northwest K9 Bed Bed Detectives & Pest Control. At the first sign of a rodent infestation, give us a call and we will come out for an inspection.With our knowledge and experience in the rodent control industry, you can be confident that your home will be pest free as soon as possible. Call us today.